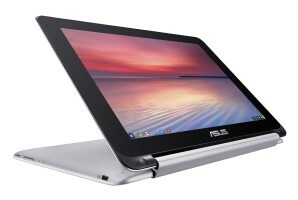 The ASUS Chromebook Flip (flip C100) is a 10 inch, touchscreen Chromebook with a 360-degree hinge – enabling regular notebook mode, tablet mode, also stand and tent modes. The flip is great for note taking, sharing videos – it does have a full keyboard and touch pad and the touch screen is multi-touch. 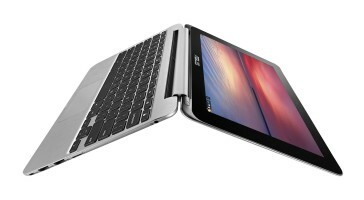 This machine runs the Chrome OS software – making it different from Windows and Apple. 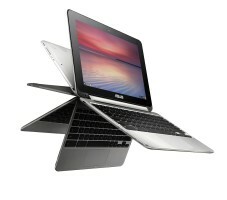 The first thing you will notice right away when you grab this chromebook is how sturdy it is – that is largely due to the all aluminum chassis. But that is important when you go to open up the 360 folding hinge – I cannot tell you how handy having the hinge do that. 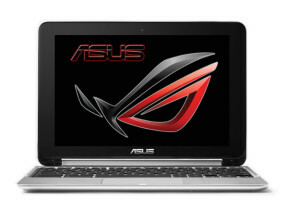 Its great if you are using the laptop on your lap, on the floor or a table. Pretty awesome. For even more storage, add a microSD card in the slot. You can get some pretty big microSD cards now – so adding 64 or 128 gig of extra memory is an ease. One thing that many people don’t know about chromebooks, even though they are cloud based, they can download apps and data and then read them in offline. If this machine will be used for anything other than light web tasks – email, calendar, skype, chat…then ensure you are buying the 4 gig memory version. Touchscreen – which I thought was kind of silly at first…but is very good. This will also allow a stylus to be used. Its a fanless computer – which means is runs very, very quietly. The Asus knows if it is in portrait or landscape mode – and will switch the screen accordingly. The built in web cam makes Skype and Google Hangouts a breeze. USB ports are a little tight at first but loosen with use. No built in HDMI streaming. Rich Roll is an animal. This is a triumphant story about how a man goes from awesome, upside down and then starts to find ultra. Let’s put it this way – he, in seven days, runs 5 Iron Man triathlons. Unreal…great story. 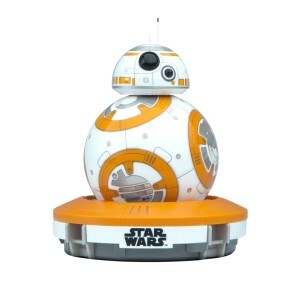 If you are reading this post and you even think for second you don’t want to own a Star Wars BB-8 Droid robot…seriously, just close the browser. Its all good – I mean, leave…but its cool. Because this is for the people that know they NEED a robot. The sphero has been around for awhile – my son picked up the Sphero version 2,0 a while back and absolutely loves it. But when I saw they had come out with a click here now to buy the BB-8…I was floored. Firstly, because it looks dead on for the BB-8. 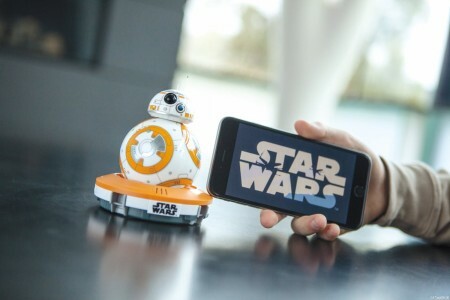 Create your own virtual holographic videos…why are you still reading – click here now to buy the BB-8. It will basically roll around on its own…LIKE A REAL ROBOT. I’m really not sure what else you want to know – if you are still thinking about this, you may be a bit of a lost cause. It does have a great blue glow when it is charging. Starting A WordPress Blog? What Should You Write About? This blog talks a lot about WordPress and ecommerce for small businesses. It’s a targeted niche, and having this in mind makes it easy to write content. 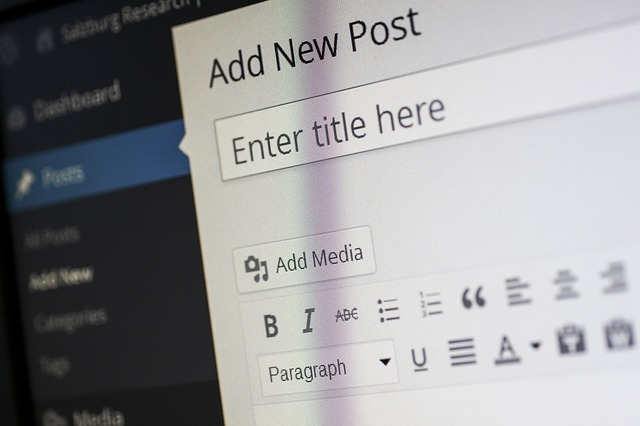 But for newbies, one of the biggest questions they ask is “What should I write about?” I’ve helped countless new bloggers set up their WordPress website. I can certainly assist with all the tricky tech wizardry. But, what comes next? Well, that’s what I’m looking at today. What should you talk about on your blog? Quite simply, I can’t answer that question for you! What I can do is put you on the right path, and help develop some ideas. But, ultimately, it comes down to your passions, interests, and knowledge. Blogging works best when you can unleash some real expertise! If you provide serious knowledge with a passionate voice, you’re on the right track. If you’re still stuck, here are a few ideas to get you started. Starting a business or current events blog is a great idea. Why? Because there is a never-ending stream of content waiting for you. Every day, there are new developments and breaking stories. With a business blog, you can tailor your content to investors or business professionals. Get deep into the business world, and put your own spin on the current events. Use your knowledge to explain what these current events mean for the markets. Or, provide an opinion on the current news. There will always be something to write about, that’s for sure! It has now become commonplace for businesses to run an in-house blog. It helps them establish their authority and expertise. You can do the same for your company. Comment on current events that are affecting your industry, for example. Provide opinions and predictions. Even better, use research and statistics from your own company to create a blog. Blogging about your industry is a fantastic way to raise your profile, and increase potential leads. My regular readers know that I have a strong focus on e commerce and online stores. I love to help website owners create the best possible online shopping experience. One of the biggest industries in e commerce is fashion. So, if you own a boutique fashion store, why not start blogging about it too? Upload pictures of your favourite outfits, and comment on the fashion industry in general. Some fashion bloggers are making huge amounts of money, and getting invites to the biggest events. It could be your ticket to the fashion world. It will certainly help you sell more products from your store! So far, we’ve focused on industry and business blogging. But, what if you aren’t running a company? What if you just want to share your thoughts and feelings with the world? Well, one of the best options is traveling. Posting amazing pictures of your travels is a great way to document your life. A lot of travel bloggers are now focusing on helping others achieve their travel dreams. You can write about your experiences and interactions with the local culture. Write about how to save money while traveling or how to use airmiles to get the best deal. The market for travel blogs is enormous, and you can monetize the site quite easily. Yes, you can even blog about blogging. In fact, some of the biggest blogs out there are dedicated to exactly that. It’s all very meta, isn’t it? But, here’s the thing. Lots of people out there are looking for advice on blogging. After all, that’s why you’re reading this post! Let’s take two simple examples, CopyBlogger and ProBlogger. These are two of the biggest blogs on the internet. And they all focus on the intricacies of building a blog. You can cover everything from growing your audience to SEO to writing tricks to making money. The internet is full of self-improvement websites, but there’s always room for another unique opinion. One of the biggest self-improvement blogs is Lifehacker. It helps us become more productive, more efficient, and healthier. If you’ve got a ton of great ideas for improving yourself, a blog is a great way to express those thoughts. It will also inspire debate, and open up new opportunities for you. Perhaps you could write about health and fitness? Again, look for something you’re passionate and knowledgeable about. https://tomaltman.com/wp-content/uploads/2015/11/blog-button.jpg 405 640 intern /wp-content/uploads/2015/03/logo_tom_altman_small.png intern2015-11-03 09:00:342017-01-02 21:36:10Starting A WordPress Blog? What Should You Write About? We all know that WordPress is the best content management system and blogging platform out there. There are more than 73 million active sites powered by the platform at the time of writing. Best thing of all is it’s free to use and customise! That’s because WordPress is an open-source platform. It’s quick and easy to set up a new website or blog powered by WordPress. And your Web host will usually offer a one-click installation of it so that you can get up and running in minutes. Do you run a business? If so, you’re probably wondering how the software can help you to create a high-impact website. By itself, WordPress won’t do that for you. But, there are plenty of ways you can interact with it to achieve that goal, such as using themes, extensions and multimedia. Let’s face it; there are thousands of free and premium themes you can use with on WordPress website. The only trouble is; it can sometimes be hard to find one that’s clean and easy for your visitors to navigate. Whichever theme you opt for, make sure it’s a responsive one. In other words, it should automatically adapt to the user’s screen size and device type. That means if your visitor uses an iPhone, it should be easy to read in those smaller screens. Related to my recommendation of a clean theme is clean content! Don’t stuff your pages with paragraphs of boring text that no-one cares about. Instead, keep your copy simple, short and sweet. And, above all, make sure it’s relevant to the topic of the page. Don’t talk about fishing on a page that discusses car engine performance! If your written English is next to useless, hire a copywriter to come up with some attention-grabbing text. If a picture paints a thousand words, a video will probably offer a million! The great thing about 2015 is that we can view embedded videos on any device, regardless of the platform. Services like YouTube and Vimeo also offer hosting for any clips we have. As you can imagine, that in itself offers the potential for increasing your brand awareness. But, why are videos such a great idea? Well, they help to give your customers a real-life insight into what you’re talking about. For example, let’s say you have a page advertising one of your products. Production companies like Tinker Taylor say that their customers get higher conversions if product demo videos are shown online. After all; if you’re going to spend four or five figure sums on a product, you want to make sure it’s right for you! WordPress is video-friendly; all you have to do is paste in the URL to your YouTube or Vimeo video, and it embeds it for you automatically! Now that you know the secrets of creating a high-impact WordPress site, it’s time to start cooking and baking an awesome site. Good luck!